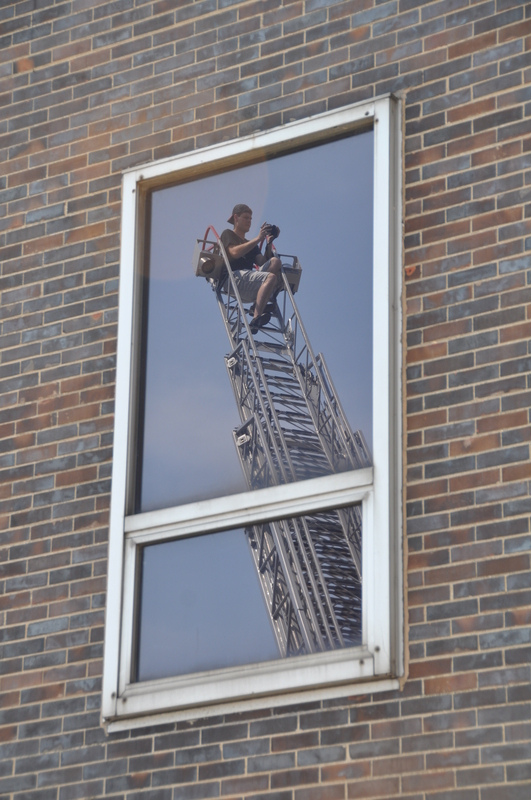 The reflection in the Chicago Fire Academy window of a fireman taking advantage of the aerial view from atop the ladder on the ladder truck. This entry was posted in Amusement, Chicago, Festivals, Firefighters, Life. Bookmark the permalink.